Have You Got Any Idea Your TV Could Be Listening-In? Did you hear that? 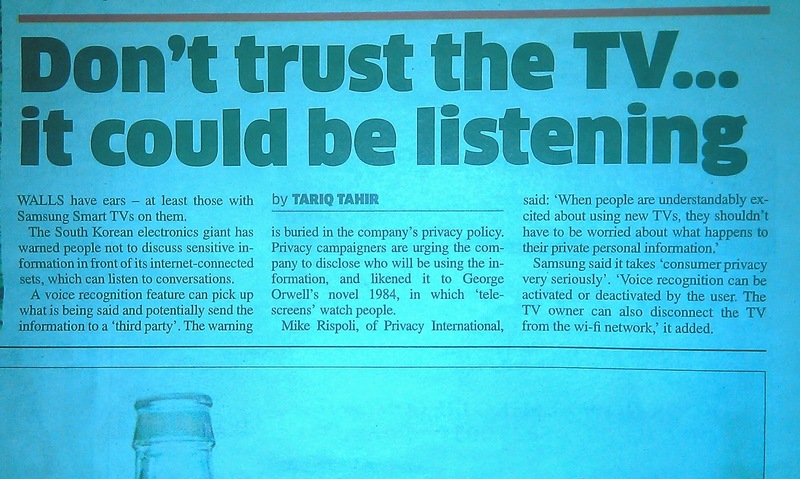 It said ''don't trust the TV in your house, It could be listening to all that you have been saying''! That is the trend of hi-tech these day. Spy cams every where, including in your own bed rooms.